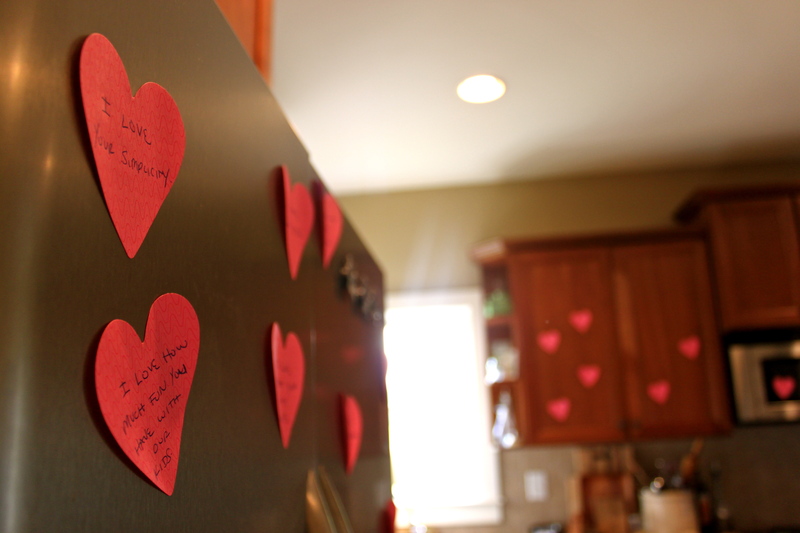 I was greeted this morning with dozens and dozens and dozens of little red hearts covering the walls of our house. Each heart had a different reason why Bryson loves me! How sweet is that!? And it was completely out of the blue! I’m big time “words of affirmation” so this sweet act by my husband just made my heart swoon! A+ for Bryson today! I love bragging about my man! oh tres dias is so good for him!!! how sweet!!! What a romantic! Way to go, Bryson! Can you make sure Bryson gives the rest of our men some tips!?!? LOL!